¿Quién no ha comprado el típico boletito de rascarle para ver si te ganas algún premio? Tengas la edad que tengas son un poco emocionantes por el hecho de no saber si tiraste tu dinero a la basura o efectivamente te vas a ganar aunque sean 5 pesos… Bueno pues ahora pueden hacer sus propias tarjetas para regalar de cumpleaños que rascas y descubres el regalo…. divertido no? Así te aseguras que a fuerzas haya un premio de por medio!! Who haven’t bought scratch lottery tickets? No matter how old you are, it’s a bit of exciting not to know if you thrown out your money or you just won .5 cents…. 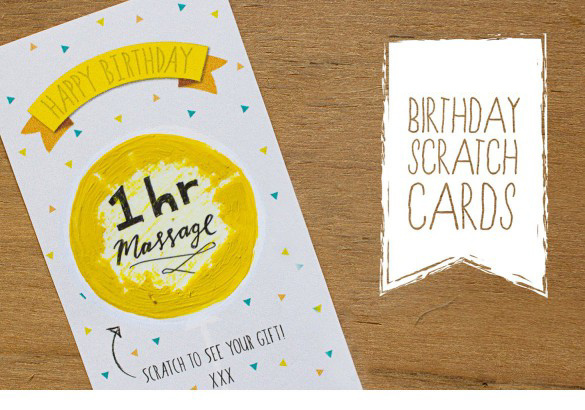 Well in order to keep that excitement, you can now create your own Birthday Scratch Gift Cards!!! fun right? This way, you can make sure there’s a prize involved! 3. 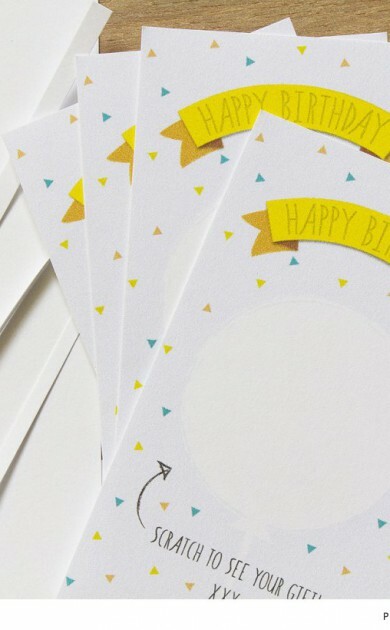 Cover your card with contact, or if you prefer, just use a circle of contact and use it over the writing. 4. Mezcla dos partes de pintura con una de jabón. No mezcles con muchas fuerza para que no se hagan burbujas. 4. 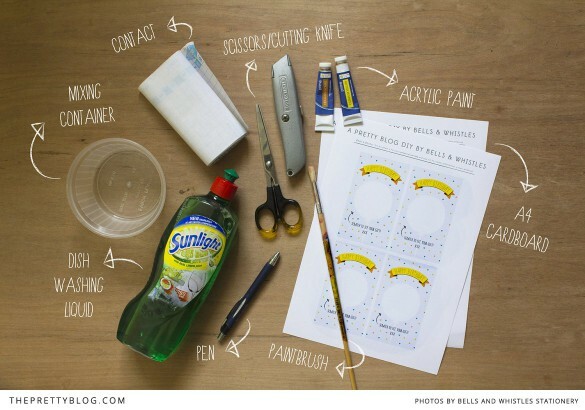 Mix two parts of paint with one part of dish washing liquid. Don’t stir much so as not make bubbles. 5. Pinta sobre el contact para cubrir el regalo sorpresa. Vas a necesitar probablemente varias capas para que no se vea lo que escribiste. 5. 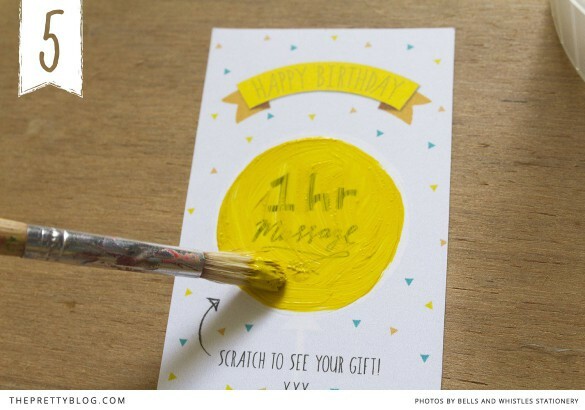 Paint over the contact in order to cover the surprise gift. You’ll probably need to give it a couple of layers to cover your writing. 6. Deja secar y listo!!! tu propia tarjeta para rascar!! 6. Let it dry and voilá! your own scratch gift card! 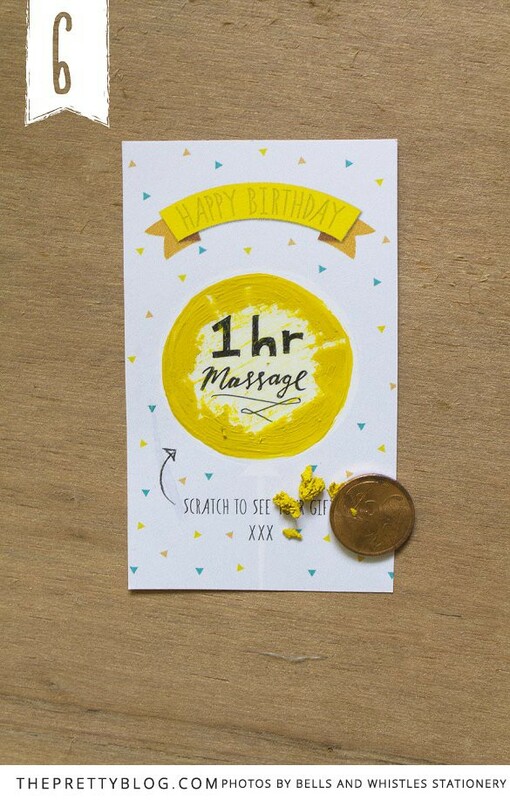 This entry was posted in DIY and tagged birthday, birthday card, diy, gifts by bazarikamx. Bookmark the permalink.